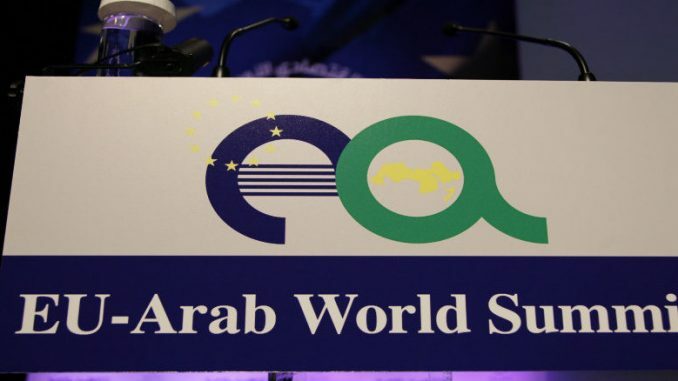 It is with great pleasure to announce the conference entitled “EU Arab Summit: Partners for Growth and Development”, to be held at the Megaron Athens Concert Hall, in Athens, on November 3-4, 2016. The Arab-Hellenic Chamber of Commerce and Development is a proud supporter of this event.This important Summit is under the Auspices of H.E. the President of the Hellenic Republic, Mr. Prokopios Pavlopoulos. The Prime Minister of Greece, Mr. Alexis Tsipras and the EU Commissioner for Migration, Home Affairs and Citizenship Mr. Dimitris Avramopoulos have already confirmed participation, while we have confirmed more than forty five Speakers from Europe and the Arab World among them, The President of Palestine, Mr. Mahmoud Abbas, the Prime Minister of Lebanon, Mr. Tammam Saeb Salam and the Deputy Prime Minister of Jordan, Mr. Jawad Anani.For more information and participation, please contact directly the organizers. Responsible is Mrs. Lily Derzioti (e-mail: l.derzioti@tsomokos.gr & tel. +30 210 7289000) or visit the website of the summit at www.euroarabsummit.comFor the confirmed list of speakers, please press HERE.